Many people are reluctant to travel at Christmas because they don’t like the crowds, the inflated prices, or maybe they just don’t want to deal with the cultural shock of not being able to celebrate the holiday in a way that there are used to. But there are tons of places in the world that become incredibly interesting at Christmastime, and not only because of decorations and events, but also because different countries have different Christmas traditions that you might not have heard of. If you are ready to experience Christmas in a different way then before, then here are 5 Christmas traditions worth traveling for, to open up your appetite. While in many places people go to Christmas mass dressed in their best clothes (and a layer of winter clothes for those in cold regions), in Caracas people don’t walk, nor do they hurry – they skate. On Christmas day, the streets of Caracas are closed off for cars, and many people put on roller skates and happily skate to the church – a bit of exercise before a big dinner will do you goo anyway! 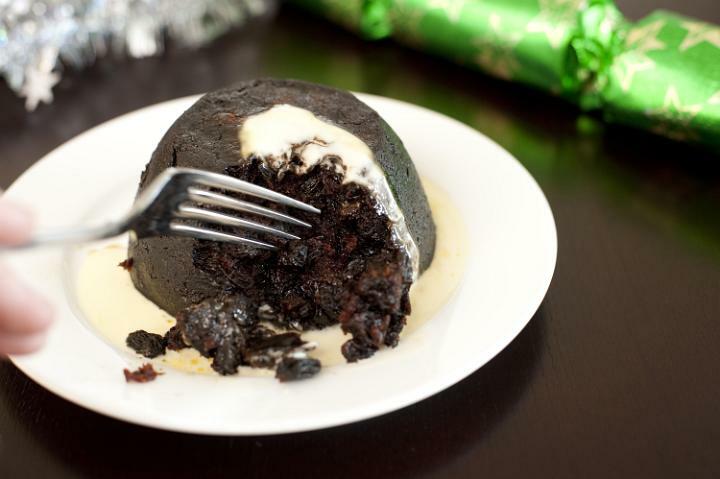 Christmas pudding is the centerpiece of Christmas dinners in the UK, and even if many people now buy their pudding in supermarket, many still make their own. 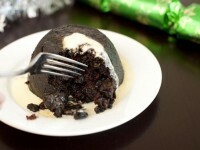 Making Christmas pudding is a long and laborious process, and there is a lot of stirring involved. But here’s something to take your mind off the eventual cramps in your arm: it’s customary to make a wish when stirring clockwise, and everyone in the family gets a stir in order to have a happy year. This tradition is a bit difficult to pull off if you want to participate, since you will need the skull of a horse. In Wales, Mari Lwyd takes places from Christmas until January, and it involves walking around town covered in a horsehair blanket, with the skull of the horse on a stick and a bucket. ‘Bite’ people on the street with the skull, and they fill be forced to pay a ‘fine’ that you collect in the bucket. Estonia has a score of interesting Christmas traditions, like bringing home authentic Christmas straw from a manger (without stepping into anything strange). But one of the most interesting traditions is to spend some times relaxing in a sauna with your family on Christmas Eve. Caga Tio is one Christmas tradition that sounds either kind of disgusting, or very funny. A hollow log is made to look like a friendly animal (dog, etc), and for two weeks before Christmas it is ‘fed’ with sweets and nuts. On Christmas Day, however, the log is beaten with sticks until it ‘excretes’ the treats (Caga tio means ‘defecating log’ in Catalan).